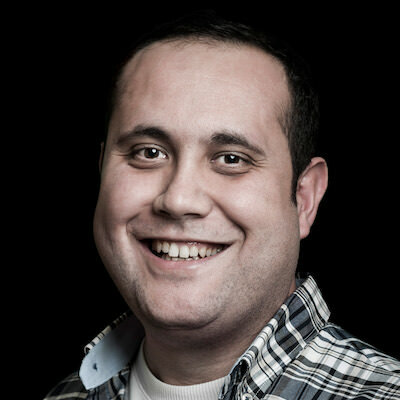 Introduce details into the database only once to get a variety of production documents. 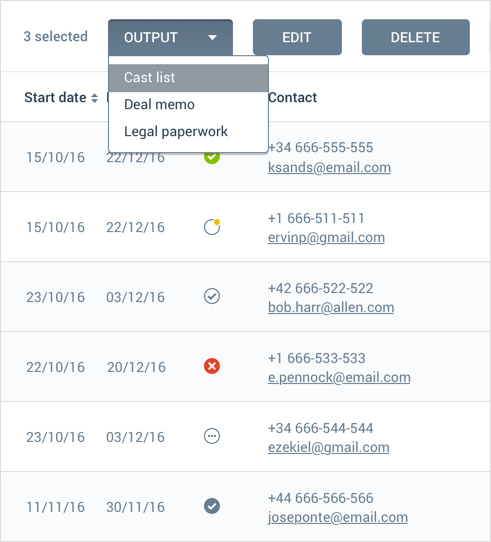 Issue lists, reports, deal memos, travel memos, legal paperwork, production diaries or calendars and more with a single button step. Status indicators, dashboard alerts and email notifications inform you of any data conflict or almost due task, such as contracts to sign, meetings to confirm, tickets to issue, deal memos to complete and lots of other functionalities. Willco takes special care of security. The sensitive data is no longer stored locally, in personal devices but on secure servers. Multiple permission levels allow your team to collaborate with ease while keeping the information safe. Eliminate approval bottlenecks with our digital approval tool. 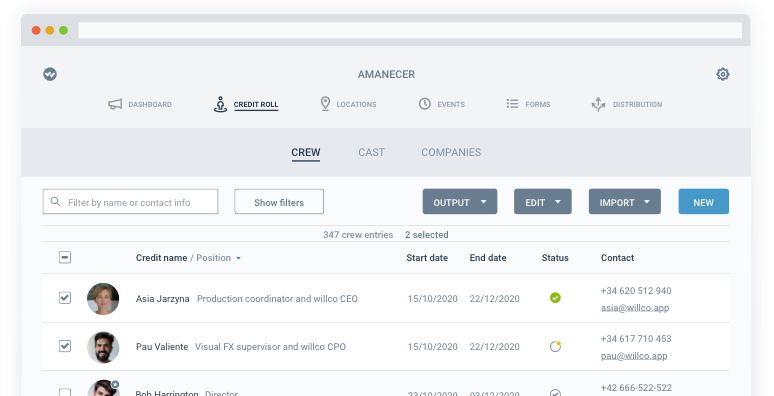 Improve communication between Producers, UPM and the Coordination Team, automating the approval process for cast and crew hiring and travels. 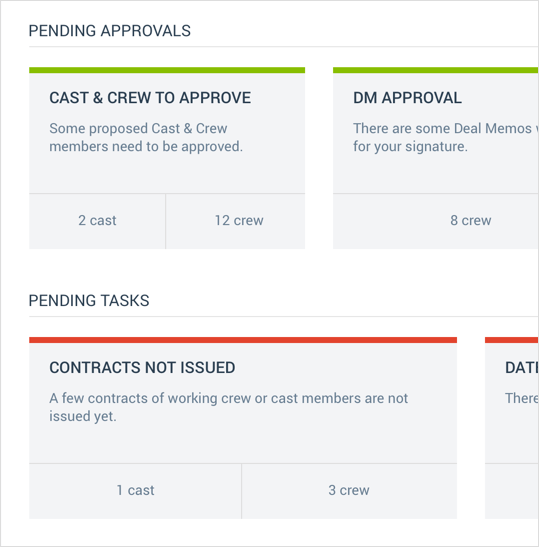 Status buttons, dashboard alerts and email notifications inform you of data conflicts and almost due tasks, such as contracts to sign, meetings to confirm, tickets to issue, deal memos to complete and a long etcetera. Willco eliminates the need to type the same data over and over again and allows the production team to work in unison, sharing all the information online. Wave goodbye to time-consuming repetitions! Enter the trip details of any cast or crew member to have the travel approved by the UPM, to issue Travel Orders or any travel and accommodation charts. Introduce production and shooting locations and have your crew assigned to each location, being able to plan company moves, individual trips or any other production events. Get organised, stay on schedule and keep your team updated. 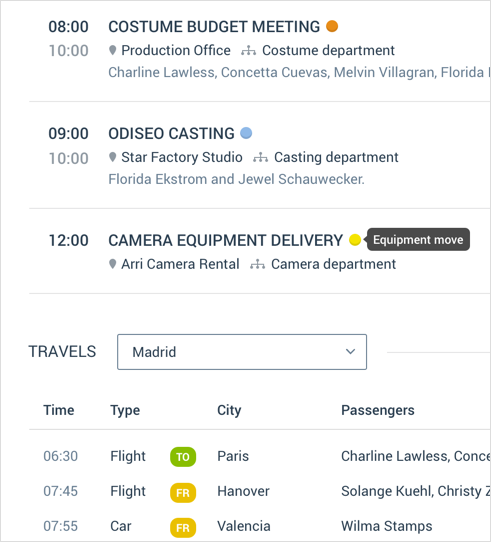 Combine production events with crew starts, travel details, and shooting details to issue production diaries and calendars. Being experienced filmmakers we know that you deserve something better than spreadsheets, crossed emails, phone calls, memos, sticky notes and scribbles to coordinate your team. The development phase started in 2017 and the private beta phase was a great success. Willco launched during the last quarter of 2018 but we are constantly adding new features and utilities, such as the digital signature and in the near future production reports releasing. 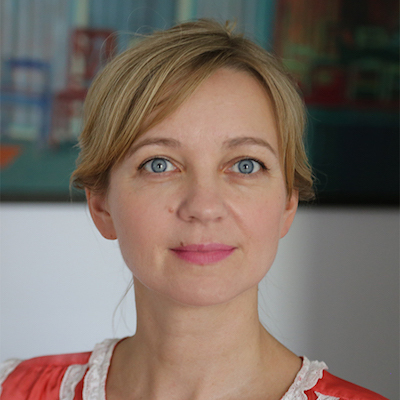 Production Coordinator with over a decade of experience in big international, independent and studio productions, with the goal of making the production process more efficient. 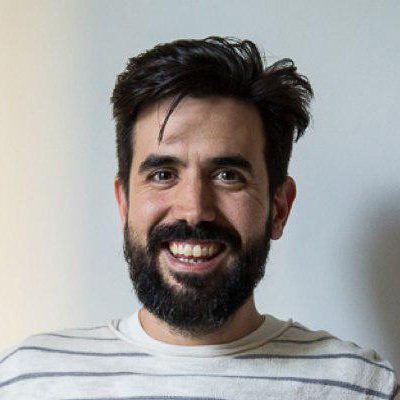 Product and UX Designer with lots of experience in cinema, advertising, and cultural videos as a Director, Producer and Postproduction Supervisor. 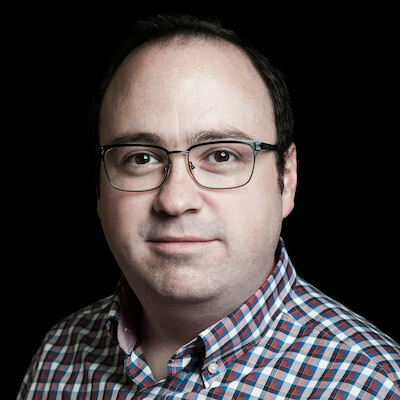 Computer engineer, passionate about web development and devops culture. Trying to learn everyday to improve skills with different technologies and tools. 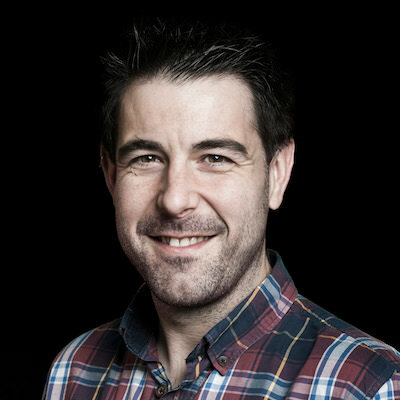 Computer engineer specially interested in frontend technologies. Web standards defender <3. Working hard to make the web a more friendly place for humans. Software developer interested in everything related with good practices in software development, agile development and devops culture.